It’s not often that the Newlands faithful are able to see a host of Proteas players at domestic prices. 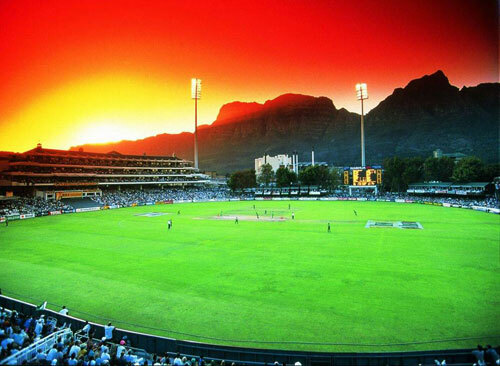 This should contribute to a sold-out crowd at Newlands for tomorrow’s final. The new domestic format which is closer to the 50-over international format has definitely benefited South African domestic cricket, but more about that later. Tomorrow’s final: many believe the Cobras are favourites due to their rich form and the abundant talent they have available. The Warriors bring a few aspects to the table which makes them worthy contenders for the title. They have been finalists in recent times and their team also boasts the experience of past and present Proteas players in Colin Ingram, Aswell Prince, Johan Botha, Wayne Parnell, Nicky Boje, Rusty Theron and Makhaya Ntini, all of whom have performed really well in recent games. It will definitely not be an easy ride for Kemp and his side but I still favour the Cobras to walk away with the title. My thinking is based on two reasons: Jacques Kallis and Dale Steyn. These two world class players will make the difference. Steyn, I expect, will be quite economical at less the 4 an over and might just be able to nip one or two of the top order out plus: he might just be difficult to deal with at the death. Kallis on the other hand can deliver with bat and ball – his ability with the bat is where I forecast his big influence to be. King Kalllis knows how to read a game and how to chase as well as set a target. Whatever the result, we are in for a great game! The new 50-over format has received a lot of praise and Cobras skipper, Kemp, commented this week that in his view it’s has been a far better tournament than in the past. He says that one of the many benefits is that it allows a healthy environment for younger players to develop. Players are allowed to be more calculated in their approach, batsmen are able to build their innings and bowlers are not set to defensive lines and lengths. It also allows all-rounders to feature more than in the previous format of 40 overs, which was more geared to specialists. There also seem to be a bit more excitement surrounding the tournament this year, as opposed to previous years which is evident enough from the huge success and support it enjoyed. Being an Eastern Cape boytjie, my support will be with the Warriors! As daar nou ooit ‘n tyd is waar rugby liefhebbers swaar kry, is dit hierdie tyd tussen seisoene. Ek vermoed ons het in die ou dae makliker daarmee omgegaan dat daar nie weer rugby aan die einde van die Curriebeker seisoen, so Augustus/September se kant, sal wees tot April die volgende jaar nie. Nou begin die Cheetahs al vertoonwedstryde speel ter voorbereiding van volgende jaar se Superreeks, of wat hulle dit ookal noem. Dis mos nie saakmaak-rugby nie, nie eers vir die Cheaters, soos wat die Vrystaatse ondersteuners bekend staan nie. Mens kan seker probeer opgewonde raak oor die naweek se rugby in die Baai, maar die enigste verskil vir my tussen T20 krieket en Sewes-Rugby is die grootte en vorm van die bal. Diegene wat hulself in hierdie soort “instant gratification” verkneukel, se vrouens is seker ook maar teleurgesteld in hul vertonings in die kooi, of wat praat ek alles? Maar wag, dalk staan ons nog hier ‘n kans om ‘n wêreldtitel in te palm. Tot dusver hierdie jaar, het onbestendigheid, eerder as onvermoë, ons gepootjie in ons pogings om in die finale te kom, of daar te wen. Kom ons hoop derde maal is skeepsreg in hierdie jaar se kompetisie. As die ys opraak, moet jy maar ‘n ysvorm invul, ou Grote!